Keywords onychomycosis, ND:YAG 1064nm laser, onychomycosis severity index, nail quality of life. 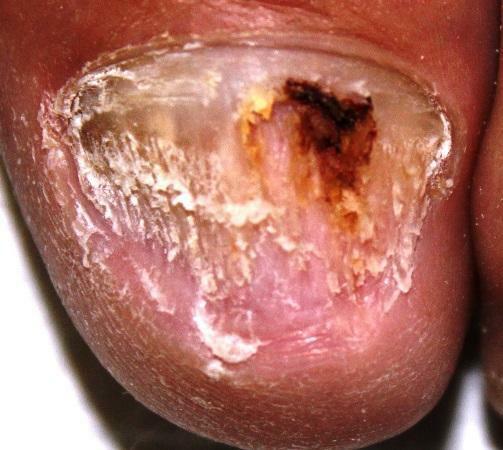 OOnychomycosis is a progressive fungal infection of the nail unit that leads to destruction and deformity [1,2]. Approximately 2%-26% of patients amongst various populations worldwide are affected . 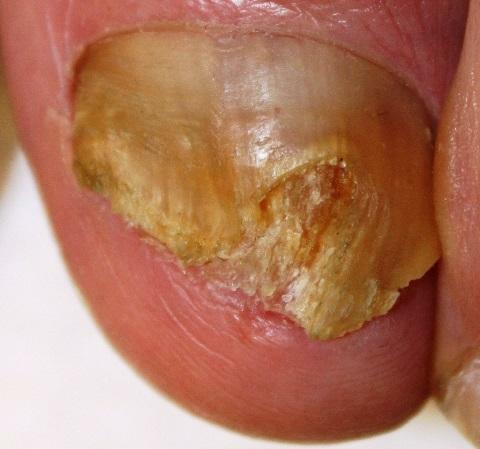 Patients with concurrent diabetes mellitus and onychomycosis have an increased risk of subungual ulceration and gangrene that can lead to amputation . Onychomycosis can result in significant psychosocial and emotional concerns that may have a significant impact on quality of life [5,6]. It accounts for about half of all nail disorders, and it is the most common nail disease in adults . Although many different modalities are utilized for treatment, laser therapy offers a non-systemic option that many patients prefer. Laser therapy is a FDA approved indication for the temporary clearing of nail for patients with onychomycosis . The long pulsed Nd: YAG laser at the wavelength of 1064nm has shown improvements for patients with onychomycosis between 14% – 56% [9,10]. This 1064nm wavelength is best absorbed by darker fungal pigments resulting in fungal cell apoptosis [11,12]. We offer additional evidence of the successful partial clearing of toenail onychomycosis when treated with a 1064 nm diode Nd: YAG laser. The aim of this study was to assess the clinical clearing of moderate and severe onychomycosis of the great toes with the long pulsed Nd: YAG 1064nm laser and reduction of recurrence with tolnaftate topical solution. The subjects for this study were recruited from the patient populations of the Cleveland Foot and Ankle Clinics. This study was approved by the Kent State University College of Podiatric Medicine Institutional Review Board. All subjects signed informed consent forms prior to participating. Thirty-five adult subjects with dermatophyte positive mycology determined by PAS stained nail plate biopsies, were enrolled over a 14-month period. Fungal cultures are done in FDA drug approval protocols but podiatric physicians often use PAS pathology which is more sensitive, timely and less costly than fungal cultures. Any subjects with less than 25% of nail involvement or negative mycology were excluded. Subjects were not excluded with severe onychomycosis. Due to the difficulty in measuring lesser toenail progress accurately, data collection was limited to only hallux toenails, however all ten toenails were treated. Subjects were excluded who had received oral antifungal therapy within the last 6 months or topical antifungal therapy within last 3 months. Patients with peripheral arterial disease, severe neuropathy, immunocompromised status, current cancer, or pregnancy were excluded (Table 1). Figure 1 Digital thermogram of an actual laser procedure as a pulse was delivered to a right third toe temporarily raising the temperature of the nail unit to 41.4C. Not a study patient. We used a Nd: YAG 1064 long pulse laser with a spot size of 5mm (Figure 1) . Data was collected at baseline, 6, 12, 18, 36, and 52 weeks. The maximal extent of the infection was measured by determining the proximal clear zone (PCZ) by measuring the distance between the proximal extent of the infection and the central cuticle. Digital photos were taken and onychomycosis severity index (OSI) score was calculated. A nail quality of life (Nail Q of L) survey was administered at each visit. Lubeck’s 15 question nail q of l survey was administered and scored on a 0-100 scale where 0 equals never; 25 equals rarely, 50 equals sometimes, 75 equals often, and 100 equals always, at each visit (Figure 2) . The validated OSI of Carney et al was determined at each observation (Table 2) . 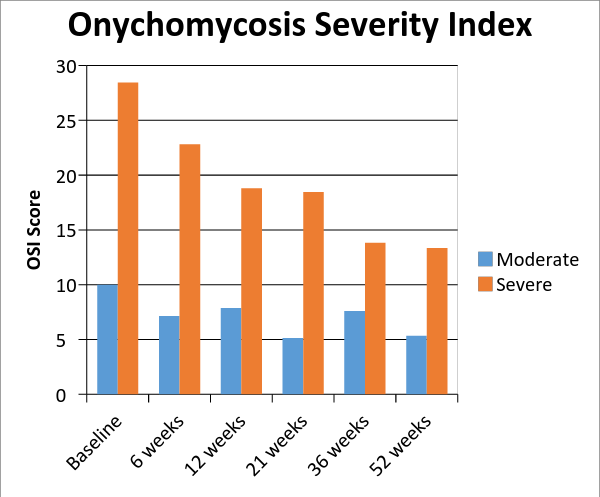 Table 2 Distribution of Study Severities over Time. 1. My nail condition hurts. 2. I worry that my nail condition may be serious. 3. I am ashamed of my nail condition. 4. I worry that my condition may get worse. 5. The skin around my nails is irritated. 6. I am embarrassed about my nail condition. 7. I am frustrated with my nail condition. 8. The skin around my nails and or nail is sensitive. 9. I am annoyed by my nail condition. 10. I have felt frustrated by the lack of improvement of my nails with previous treatment. 11. My nails are difficult to cut. 12. I rely on other people to help cut my nail(s). 13. My nails make me feel less attractive. 14. My nails make me feel self-conscious. 15. I am worried I may give my nail fungus to other people. Figure 2 Nail Quality of Life Survey Questions. At each visit, nails were debrided as needed utilizing a nail nipper and rotary burr as in standard clinical practice. The nails were cleansed with alcohol and allowed to dry. Each subject received 3 laser treatments at six week intervals. The Nd: YAG 1064 long pulse laser total fluence was set at 16 Joules/cm2, 0.3 milliseconds duration and two pulses per second. Each hallux nail unit received 400 pulses at each laser treatment. Rest periods were allowed between lasing cycles to accommodate an individual subject’s heat tolerance. At week 18, after completing the 3 laser treatments, patients were dispensed a topical solution of tolnaftate in oil for daily application to prevent reinfection . Treatment failure was defined as an actual reduction in the proximal clear zone rather than slow improvement. Post treatment mycology was not performed since mycological cure was not the goal of this study. The PCZ, OSI and Nail Q of L data were statistically analyzed using either a One Way Repeated Measures ANOVA or a Friedman Repeated Measures ANOVA on Ranks, depending on whether the data was normally distributed or not. Significance was defined as p<0.05. When significance was detected, pairwise multiple comparison procedures were performed using the Holm-Sidak method for normally distributed data or the Tukey test for data that was not normally distributed. Again, significance was defined as p<0.05. Thirty-five patients were enrolled in the study over a period of 14 months (Figure 3) (Table 3). Thirty-one patients with 59 infected great toenails completed all three laser treatments. Four patients failed to complete the treatment phase. One patient was excluded because his baseline mycology failed to confirm onychomycosis. One enrolled patient elected oral therapy during the study and was excluded from the results enrolled. Two patients were lost to follow up after not completing all three laser treatments. 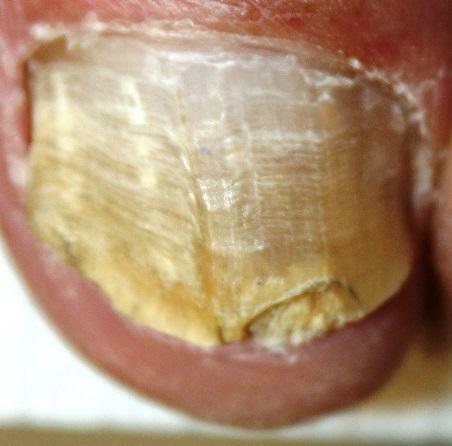 Figure 3 Progress of typical study patient’s hallux nail. A: before laser treatment, B: 9 month follow-up, C: 12 month follow-up. Both the PCZ (P<.001) and OSI (P<0.05) of the moderately and severely infected great toe nails (57) improved significantly and steadily over duration of the study (P<.001) (Figures 4 and 5). 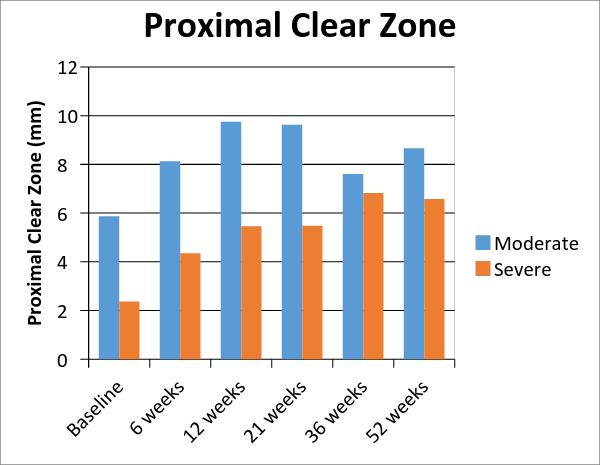 Figure 4 The average PCZ improved 3.46mms in all patients (p<.05). Figure 5 OSI score reduced an average of 15.1 points over one year (P<0.05). Interestingly, the 49 severely infected great toenails, improved their PCZ and OSI scores over the course of the study as well (P<0.001). 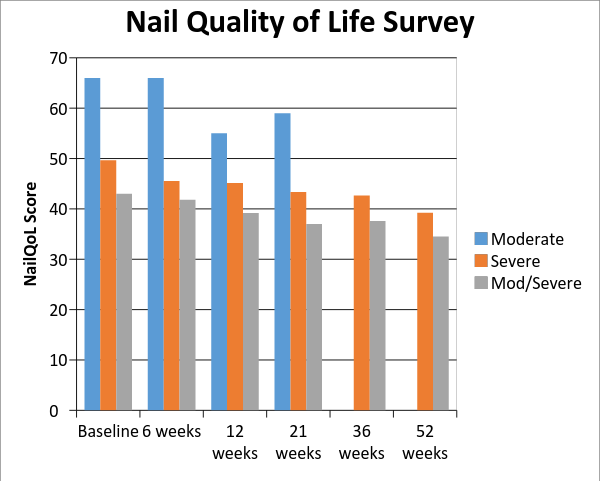 Although the Nail Q of L survey responses generally improved, the degree of improvement was not statistically significant (P=0.245) (Figure 6). Figure 6 Average Nail Q of L scores over one year. Although the Nail Q of L survey responses improved over one year, the improvement was not statistically significant (P=0.245). The FDA has approved Nd: YAG 1064nm lasers for the temporary increase of clear nail . Several recent articles have studied the Nd: YAG 1064nm laser for mild to moderate onychomycosis while this study looked at the more difficult to treated severe toenail onychomycosis (59.6% N=34). Recently, Renner, et al., studied the 1064 YAG laser and measured the OSI . In our study, we evaluated the OSI, as well as the Nail Q of L, over one year. Renner, et al., also allowed patients with recent oral or topical therapy to be enrolled while we excluded them. We did not perform fungal cultures because they are less sensitive, costlier and take longer. Many practitioners use clinical judgement, supplemented by PAS pathological studies, which are faster, more sensitive and less costly to diagnose onychomycosis [1,7,9]. In this clinical study, to help reduce the anticipated reinfection and recurrence rates that patients can incur, patients were given a preventative topical tolnaftate 1% solution after completing all the laser treatments. There is no evidence that tolnaftate solution alone improves cure rates and tolnaftate solution does not have an FDA indication for onychomycosis but is commonly used to decrease surface contamination . This study found improvement in both PCZ and OSI with the 1064 YAG laser and it encourages further research with comparative studies combining laser therapy and pulsed oral or continuous topical antifungal therapies . The authors would like to acknowledge the contributions of Jill Kawalec, PhD, Director of Research, and Joan Lannoch, the Senior Graphic Designer, at Kent State University College of Podiatric Medicine. Scher RK, Coppa LM, Advances in the diagnosis and treatment of onychomycosis, Hosp Med. 1998; 34:11-20. Matricciani L, Talbot K, Jones A. Safety and efficacy of tinea pedis and onychomycosis treatment in people with diabetes: a systematic review, J Foot Ankle Res. 2011; 4:26:E1-E12. Taheri A, Davis SA, Huang KE, Feldman SR, Onychomycosis Treatment in the United States, Cutis. 2015;95:E15-E21. Crissey JT, Common dermatophyte infections, A simple diagnostic test and current management, Postgrad Med 1998; 103(2):191-1,197-200, 205. Lubeck DP, Measuring health-related quality of life in onychomycosis, J Am Acad Dermatol. May 1998; 38(5 Pt 3): S64-8. Drake LA, Scher RK, Smith EB, et al, Effect of onychomycosis on quality of life, J Am Acad Dermatol. 1198;38(5 part 1):702-704. Scher RK, Tavakkol, Sigurgeirsson AB, et al, Onychomycosis: diagnosis and definition of cure, J Am Acad Dermatol. 2007; 56(6):939-944. Genesis Plus laser®, Cutera Inc., 3240 Bayshore Boulevard, Brisbane, CA 94005. Food and Drug Administration Web site. https://www.accessdata.fda.gov/cdrh_docs/pdf10/K103626.pdf. Accessed July 1, 2015. Renner R, Gruber K, Sticherling M. 1064-nm Diode Laser Therapy of Onychomycosis: Results of a Prospective Open Treatment of 82 Toenails, Dermatology. 2015;230(2):128-134. Zhang RN, Wang DK, Zhuo FL, et al, Long-pulse Nd: YAG 1064-nm laser treatment for onychomycosis, Chin Med J (Engl). 2012;125: 3288–3291. Wanitphakdeedecha R, Thanomkitti K, Bunyaratavej S, Manuskiatti W. Efficacy and safety of 1064-nm Nd:YAG laser in treatment of onychomycosis, J Dermatolog Treat. 2015 Apr 17:1-5. Armour EP, McEachern D, Wang Z, et al. Sensitivity of human cells to mild hyperthermia, Cancer Res. 1993;53: 2740–2744. Dubois MF, Hovanessian AG, Bensuade S. Heat shock-induced denaturation of proteins. Characterization of the insolubilization of the interferon-induced p68 kinase, J Biol Chem. 1991;266:9707–9711. Carney C, Tosti A, Daniel R, , et al. A New Classification System for Grading the Severity of Onychomycosis: Onychomycosis Severity Index, Arch Dermatol. Nov 2011:147 (11): 1277-1282. Formula3 (tolnaftate in oils) The Tetra Corporation, Eaton Rapids, MI 48827. http://thetetracorp.com/products/formula3-antifungal/. Accessed July 1, 2015. Zaias N, Tosti A, Rebel G, , et al. Autosomal dominant pattern of distal subungual onychomycosis caused by Trichophyton rubrum, J Am Acad Dermatol. 1996 Feb;34(2 Pt 1):302-304. This entry was posted in Uncategorized and tagged nail quality of life, ND:YAG 1064nm laser, onychomycosis, onychomycosis severity index. Bookmark the permalink.